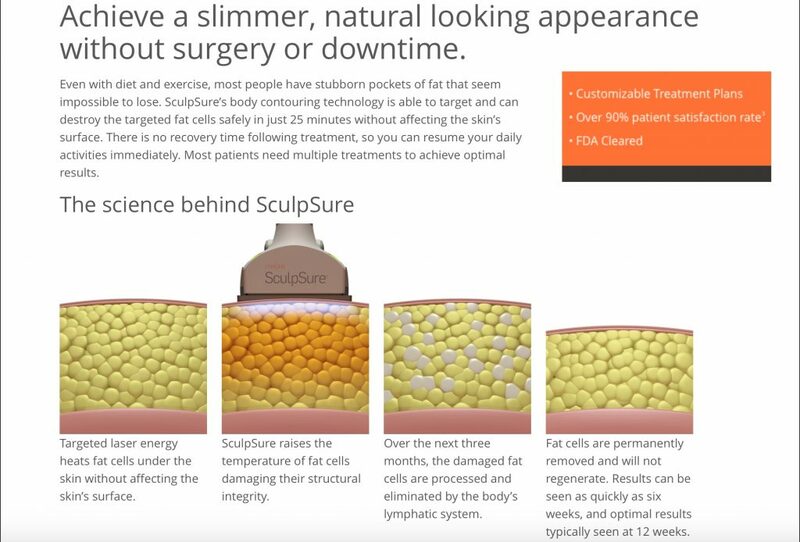 SculpSure delivers sweat free life with no downtime, no pain, no scars and no recovery! Why Choose Sculpsure for underarm Sweating? 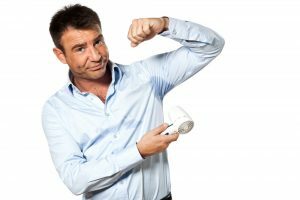 3% of US population suffers from something called Primary Hyperhidrosis, which is excessive sweating in underarms. This is often very embarrassing and may even be socially debilitating to some due to the odor, the wet stains, the damage to your clothing with embarrassing yellow stains and not to mention high dry cleaning costs. Why do people sweat under arms? The sweat glands are controlled by your hormones and your nervous system. Your genetics may play a role too if they decided to give you a little too many glands in one area. If one of these systems get excited, then the glands become too active and produce extra sweat which leads to strong odor and yellow and wet stains on your favorite clothes. How does SculpSure work to decrease sweating? Is SculpSure for underarms safe? Absolutely yes. You need to make sure your treatment is performed by an expert physician and not a tech as you have important blood vessels and nerves in that area. Is SculpSure for underarms effective? Absolutely yes. Not only does it decrease the fat cells in that area, it also decreases the number of sweat glands in the same area. Absolutely pain free and absolutely zero recovery. Just 25 minutes. What are possible side effects after SculpSure for underarm sweating? The treatment is safe for all skin types. It should not be performed if you have an open lesion or sore or have a fresh razor cut. The most common side effects are a little redness and a little soreness. That’s it. No Scars. No downtime. Is there recovery period after SculpSure for excessive sweating? There is no recovery time. You can resume your activities immediately. You can go to the gym immediately. 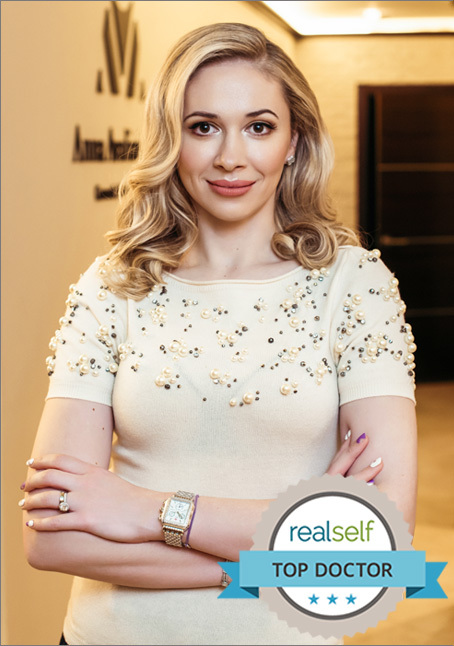 SculpSure vs MiraDry Vs Botox/Dysport for Excessive under arm sweating? Which one is better? SculpSure decreases the number of sweat glands in the under arm/axillary region leading to decreased production of sweat. It is done in 25 minutes with absolutely no downtime. MiraDry is an invasive procedure requiring anesthesia and 1-2 weeks recovery time form the “hot knife” which gets inserted under the skin to decrease the number of sweat glands. It is 1-2 hours long, may cause scarring and leave skin marks and may lead to an infection. Botox or Dysport simply temporary decreases the activation of sweat glands leading to decreased sweating for up to 6 months with zero recovery and zero downtime as well. SculpSure treatment results may last up to 1 year and actually decreases the actual number of sweat glands.